Is Paper Quilling the Next Big Trend in Crafting? HomeIs Paper Quilling the Next Big Trend in Crafting? Last week, a slightly blurry, but still recognizable photo from an old friend popped up in my inbox. It seemed to be a window display being created out of paper strips! Sure enough, Anthropologie, the store which is well-known for their incredibly creative and stunning shop windows, was featuring large pink quilled flowers! When I ran to my local mega-mall and checked out the beautiful paper for myself, I saw big, bold flowers made with a very modern take on quilling using loops of wide strips. Perfect for pulling in winter shoppers, and having them think about spring! I apologize for the poor quality of the photos! There was a ton of bright lights around us, and it’s practically impossible to take an photograph of a window with out the glare anyway. But it’s stunning, trust me. From what I understand, displays vary from store to store, but if you’re in Delaware in the next month or so, see it out for yourself! Even though quilling has been an art form for centuries, it hasn’t been a well-known craft, especially in the US. But, things are changing! I’ve noticed lately that I’m starting to get a lot less “huh?” type stares when I’m asked what it is that I do. And that might have something to do with the big boost quiller’s got last year. A huge step in the resurgence of quilling happened in the winter of 2016. One of the mega-stars of modern quilling, Yulia Brodskaya, was asked to create the Valentine’s Day postage stamp for the USPS. Yulia used brightly colored swirls and large white loops to quill a vibrant heart that brought quilling into the homes of millions right through their mailbox! Even classic quillling is reaching new heights! Last month, The Quilling Guild announced they would be presenting their world-record crushing display of 6241 quilled flowers all over the UK. Catch this showstopper if you can! What do you think about quilling becoming the next big craft trend? After crochet, embroidery, and distressed wood, it can definitely be quilling’s turn! Have you found quilling in an unexpected place lately? Leave a comment below and we’ll all keep an eye out! 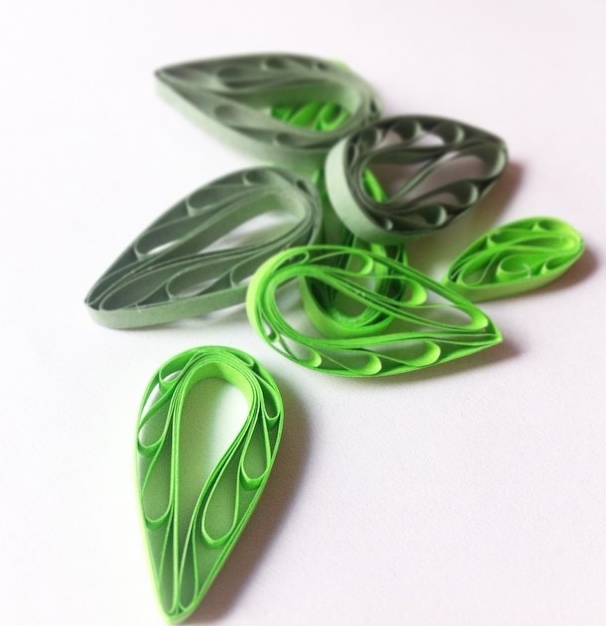 And, maybe you’re thinking of starting quilling, but not sure its the craft for you? Stop by my post on why I think quilling is the perfect craft and read more reason’s why you should start today! I’ve seen these crafts. They’re so pretty and I’d love to try!! Go ahead and give it a try! I know you can do it!